Teaching phonemic awareness is critical to teaching children to manipulate the sounds in language. 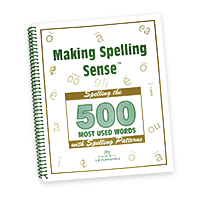 This helps children learn to read and spell. Instruction is best when it is explicit. 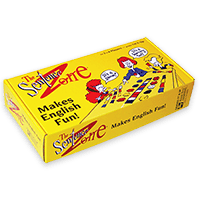 Various forms of phoneme manipulation should be taught including segmenting words into phonemes. The ability to hear, identify, and manipulate the individual sounds – phonemes – in spoken words. A part of phonological awareness. Again, phonemic awareness is the child’s recognition of sounds and word parts. The word /balloon/ has two-word parts (syllables). 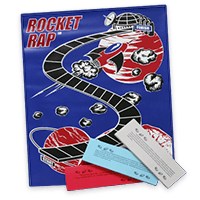 The steps are: rhyming songs, sentence segmentation, syllable segmentation and blending, onset-rime, blending & segmentation, blending and segmenting individual phonemes. Why Reading is not a Natural Process by Dr. G. Reid Lyon, Ph.D.
Phoneme awareness and phonics are not the same. Phoneme awareness is an auditory processing activity where you understand sound structure. For example what sounds do you hear in the word ‘sat’? The child would then give the sound of that the letters represent. The child would not say the names of the letters. This is not a ‘natural process.’ We typically hear a word part but don’t think in terms of the different sounds that are combined to make the word. That being said, many children fail to read because they struggle with phoneme awareness as well as the alphabetic principle, the sound/symbol relationship. We also know that the brain carries out specific steps of the reading process. Good readers use more neural pathways in their brain. 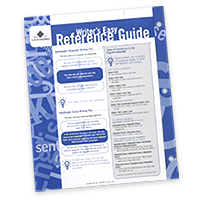 Early intervention programs that combine instruction with phoneme awareness, phonics, spelling, reading fluency, and reading comprehension strategies can increase reading skills. The longer intervention is delayed, the more these children will continue to have difficulties learning to read. 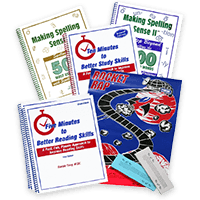 This is what we teach with: Five Minutes to Better Reading Skills, as well as the ASW Spelling and Phonics program, the ASW Reading Fluency Program, ASW VAK Program, and the ASW Premium Program use these methods. 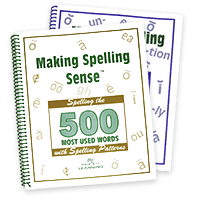 Dr. Penny Chiappe (2002) states that programs focusing on phonological awareness, coupled with systematic, explicit phonics instruction, structural analysis of words, spelling, and comprehension strategies have higher success rates. 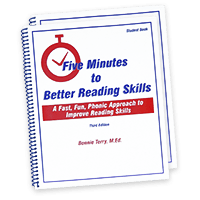 The Reading Component: Five Minutes to Better Reading Skills contains the phonemic awareness, phonics, and fluency portions of the elements of reading. 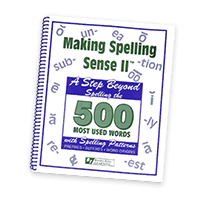 The Spelling Component: Making Spelling Sense and Making Spelling Sense II contain the phonemic awareness, phonics, structural analysis, and vocabulary components of the elements of reading instruction. 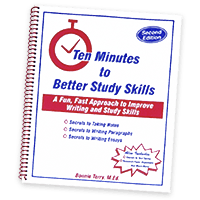 The Writing Component: Ten Minutes to Better Study Skills contains the vocabulary and text comprehension components of the elements of reading instruction. Research also suggests that the process of re-organizing material in a visual context enhances cognition and recall for students of all ages. 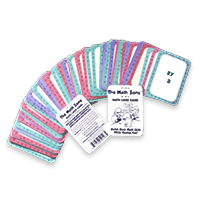 Ten Minutes to Better Study Skills teaches kids how to do that.